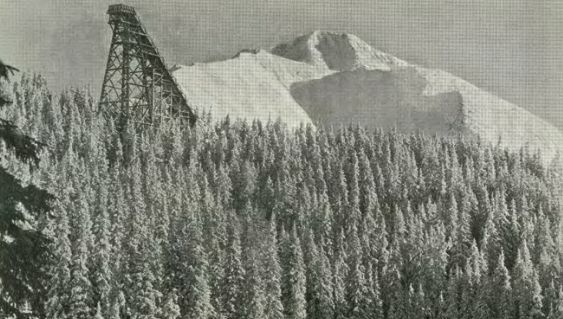 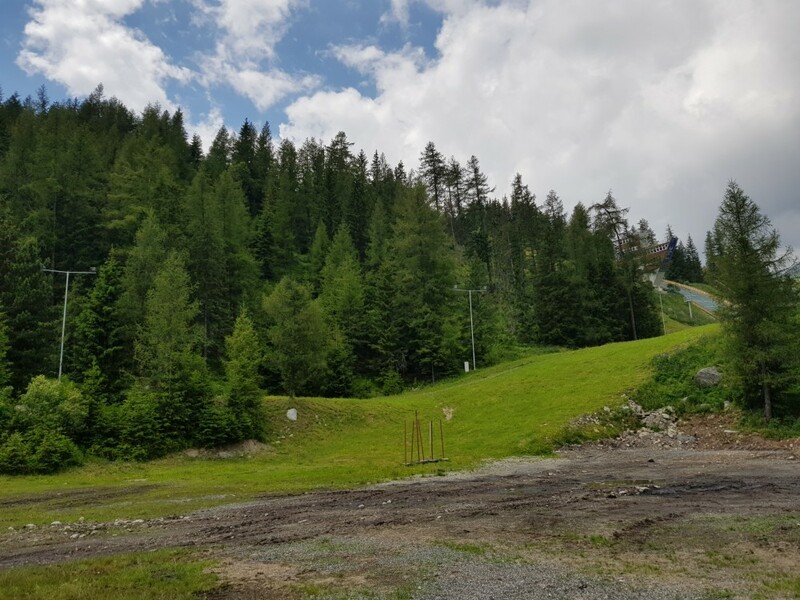 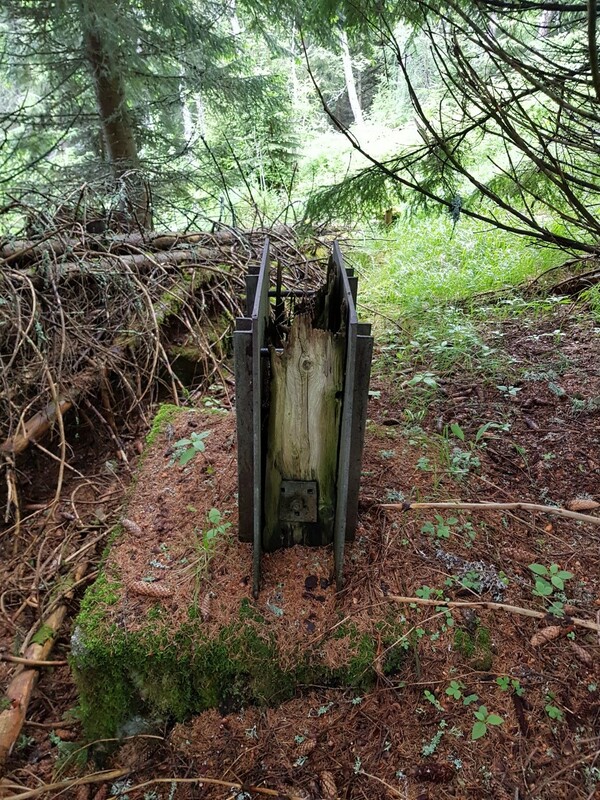 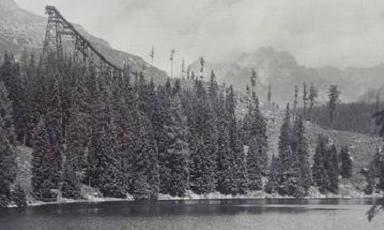 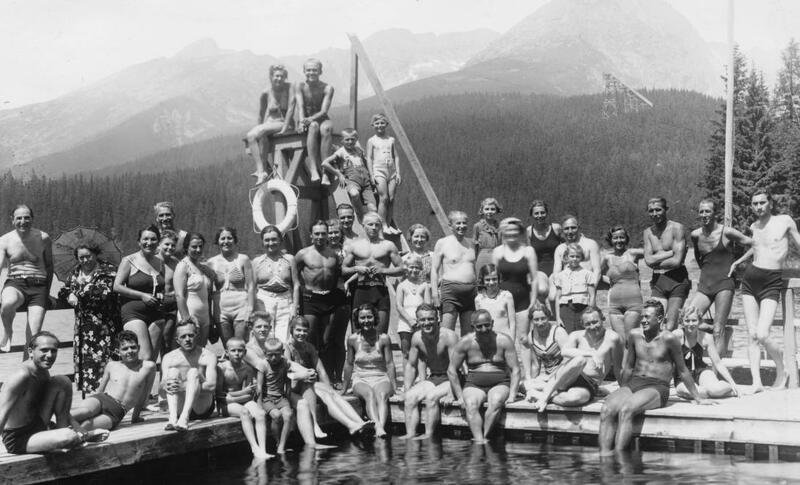 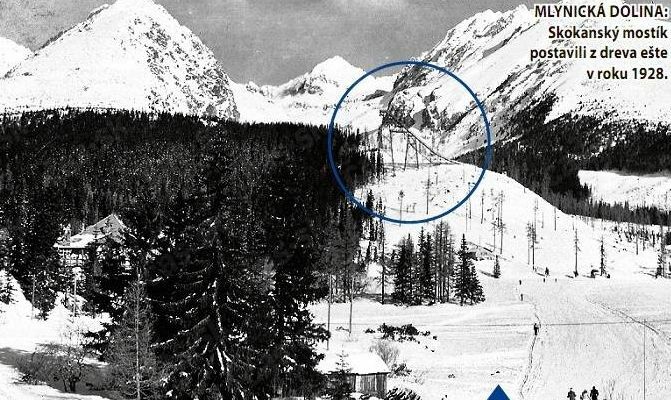 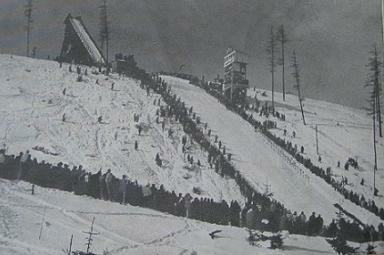 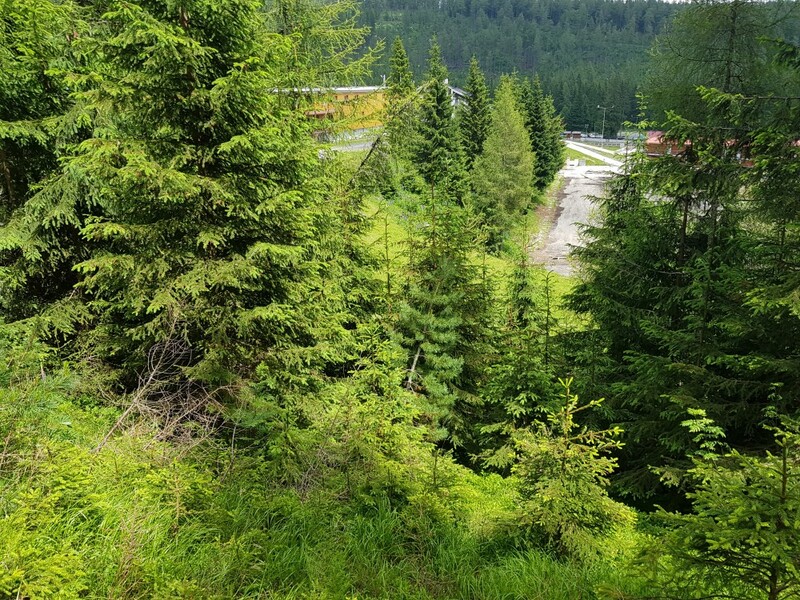 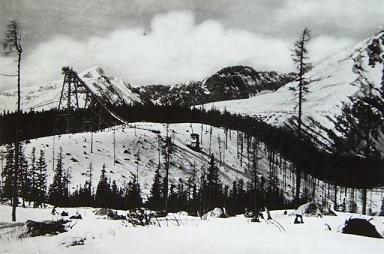 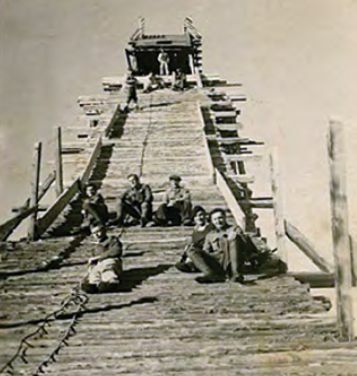 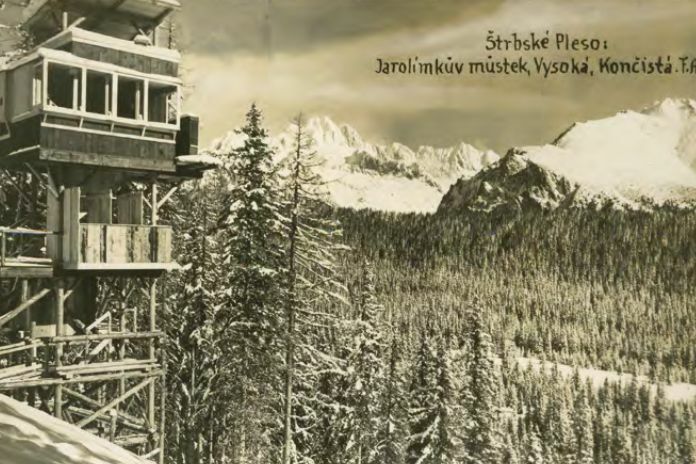 In 1920 the first Czechoslovakian ski championships were organized at Vysoké Tatry (High Tatras) and therefore a small ski jumping hill was set up at Klát. 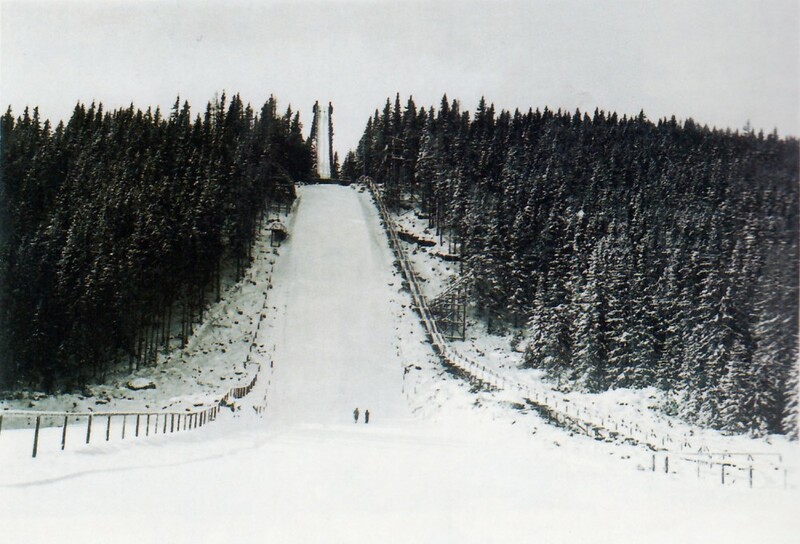 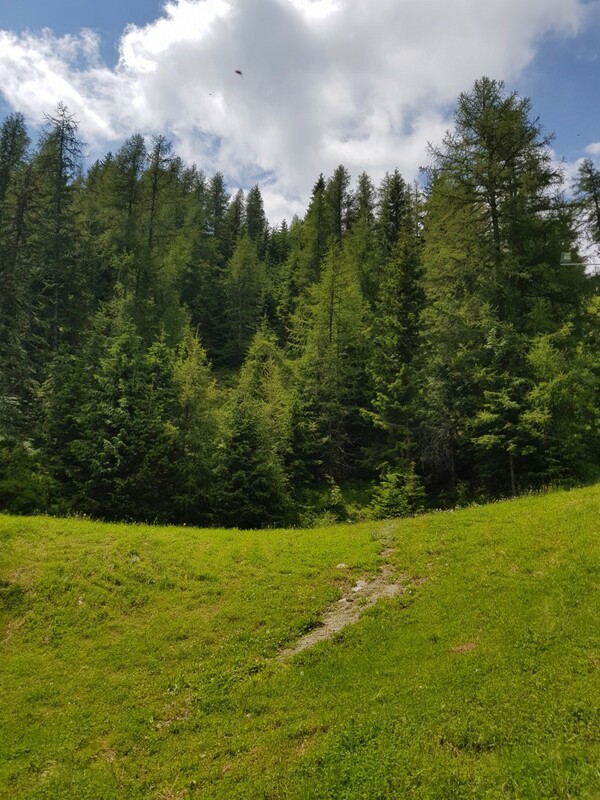 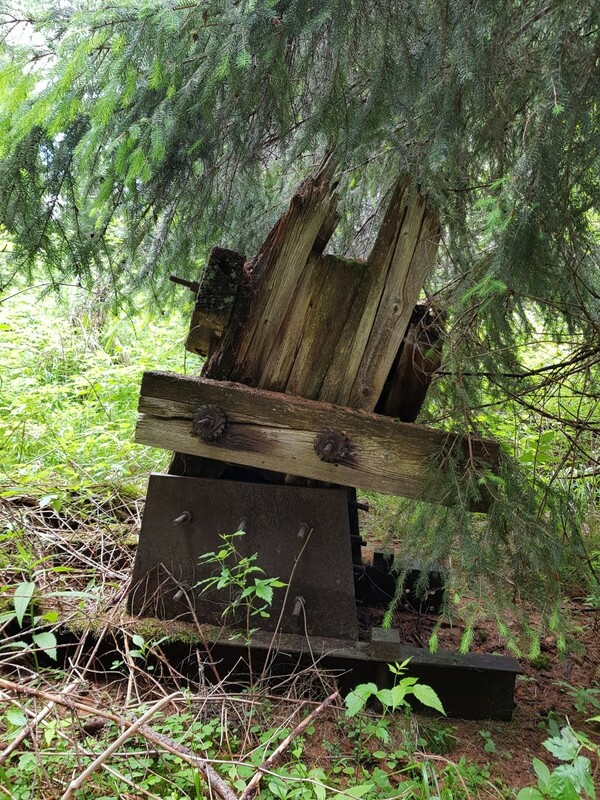 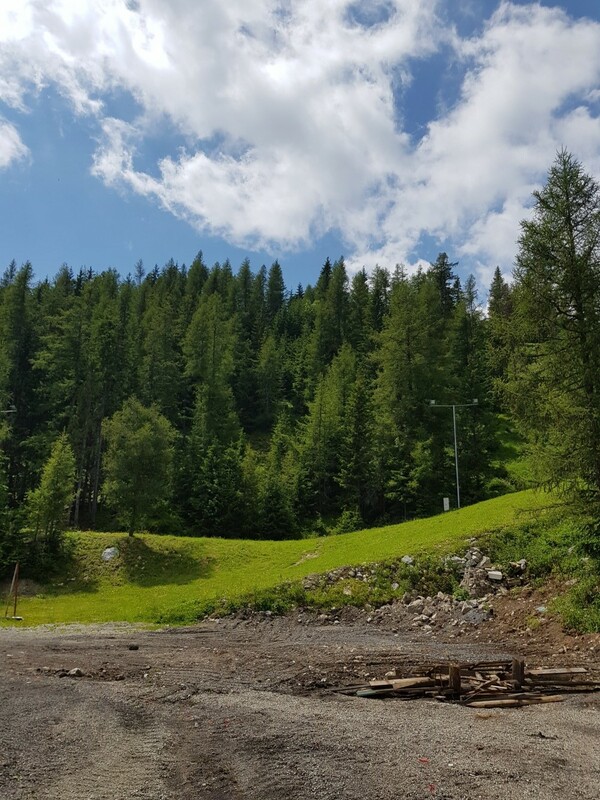 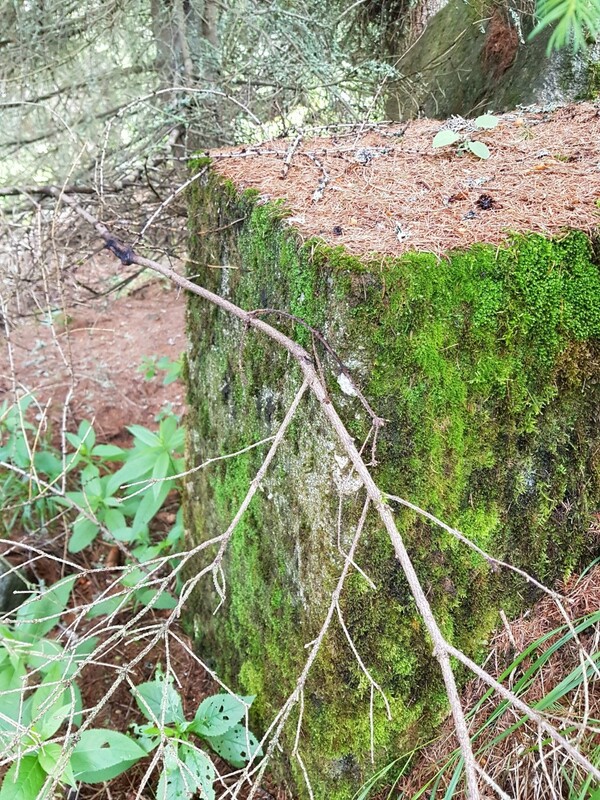 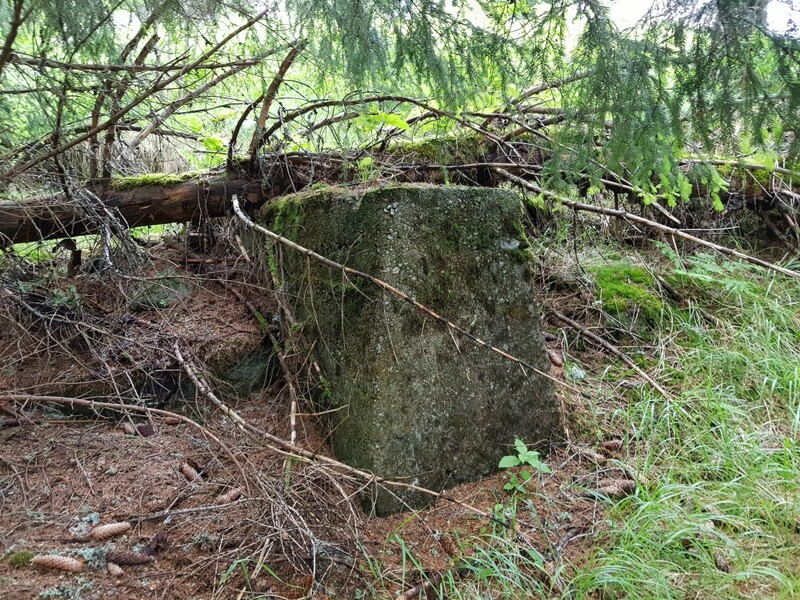 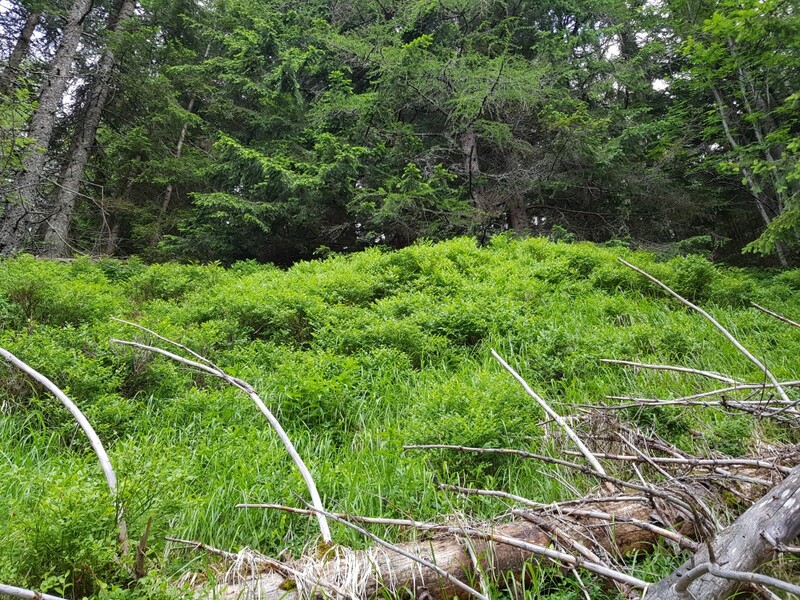 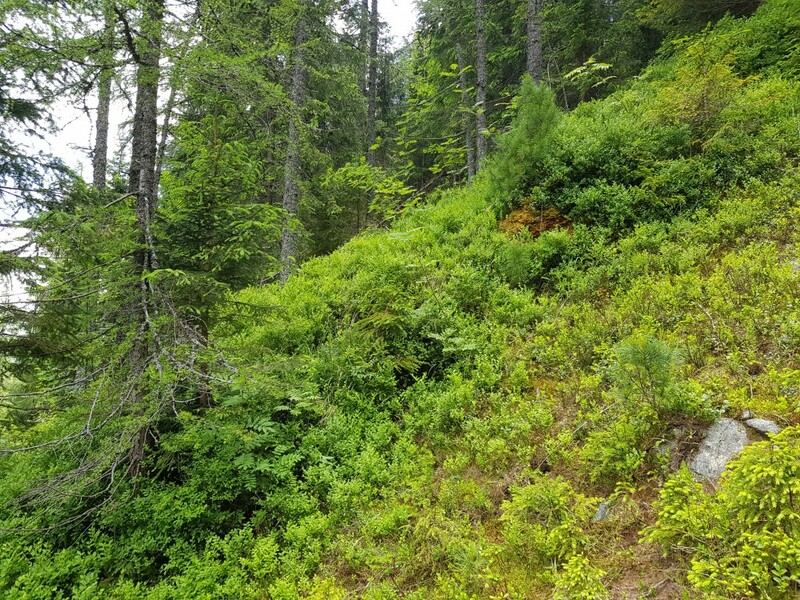 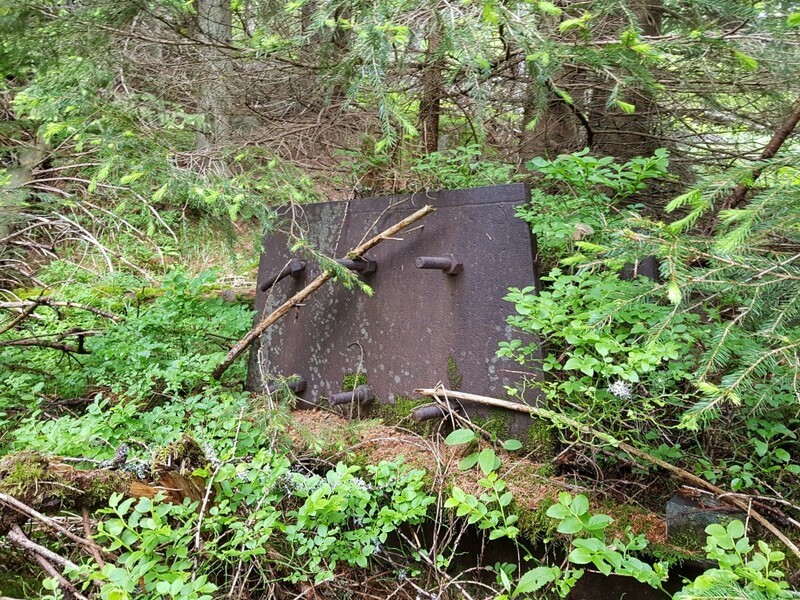 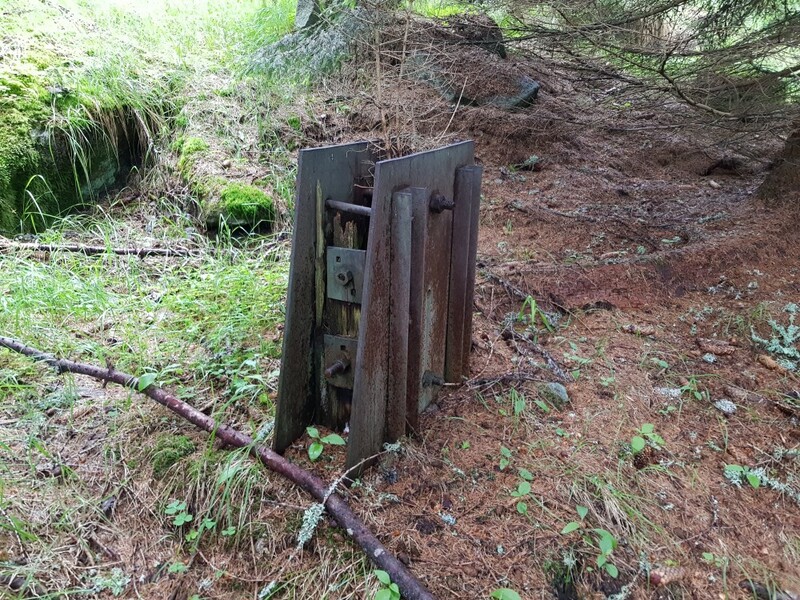 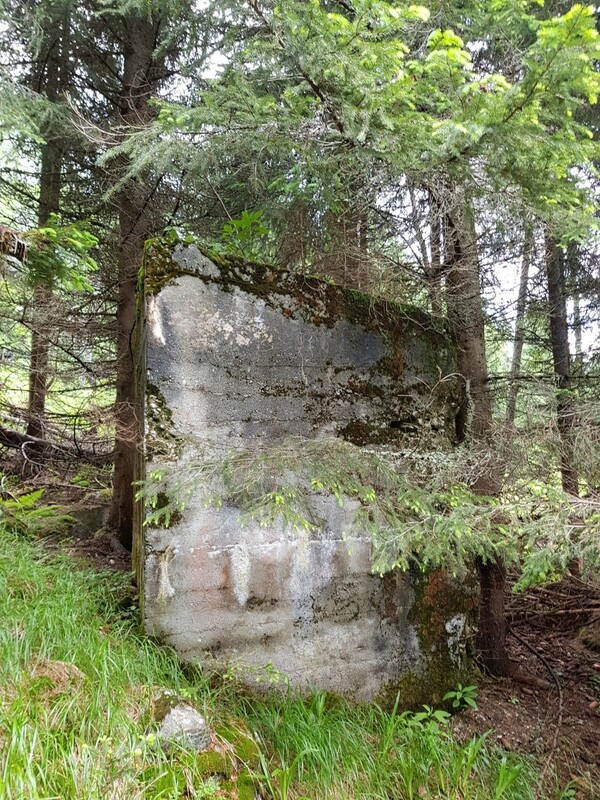 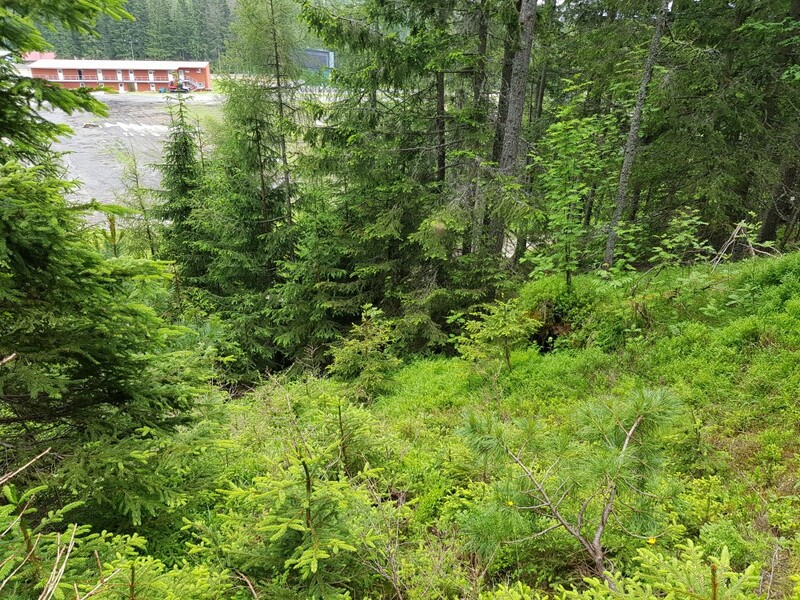 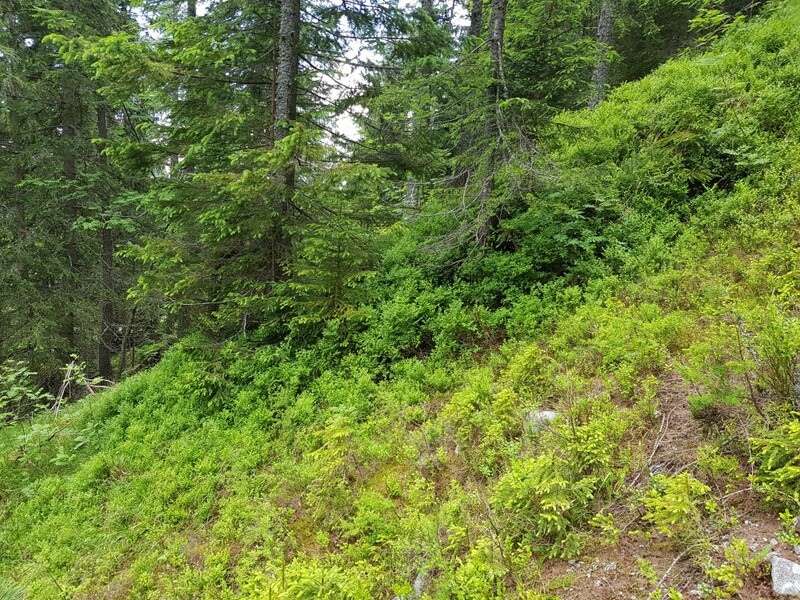 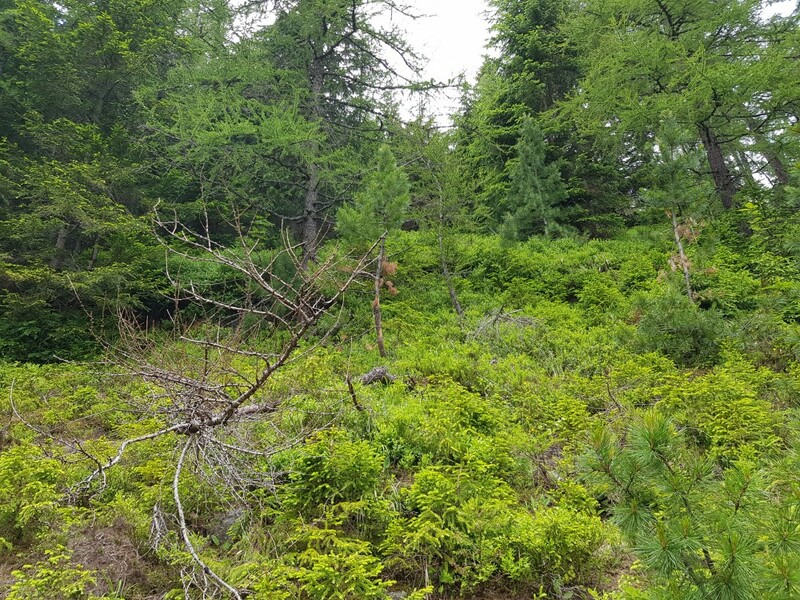 This provisional hill was enlarged into a solid ski jumping hill with wooden inrun in 1923. 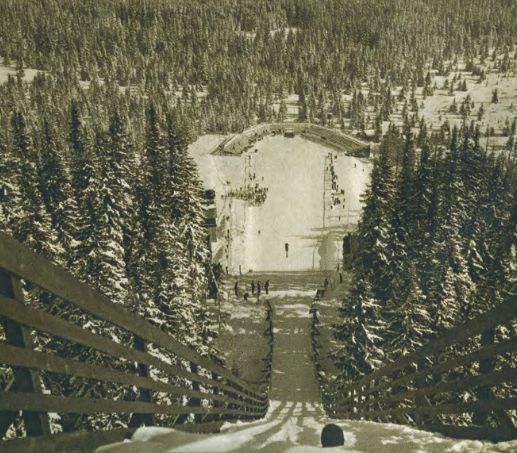 With growing enthusiasm for ski jumping at High Tatras ski jump architect Karel Jarolímek constructed a new 50 meter ski jump with an impressing wooden inrun tower at Solisko in the direction of Mlynicka dolina in 1932. 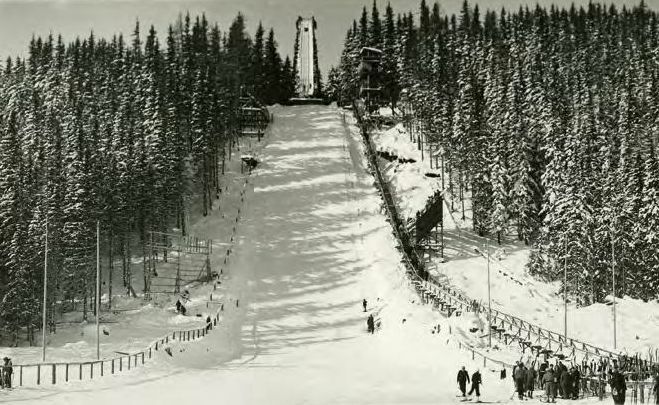 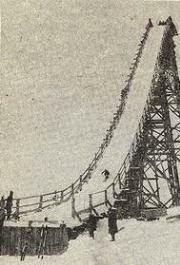 There Norway’s Sigmund Ruud set up a hill record of 62 meters, but with the awarding of Nordic Ski World’s of 1935 to Štrbské Pleso and changing hill construction guidelines Jarolímek soon had to convert and enlarge the hill into a 70 meter jump. 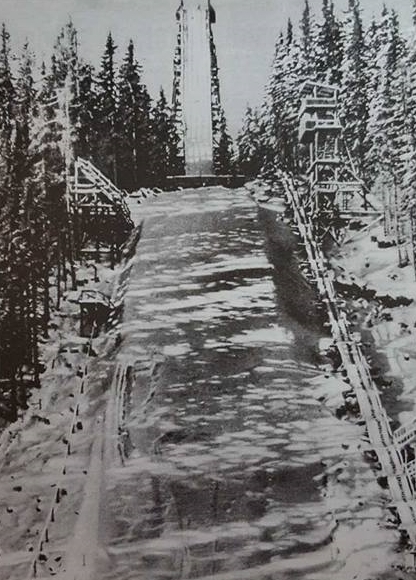 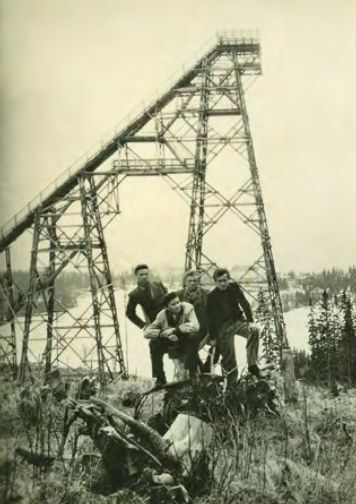 At WSC 1935 there was a triple victory of Norway with Birger Ruud becoming world champion and Reidar and Alf Andersen standing the longest jumps of 59.5 meters. 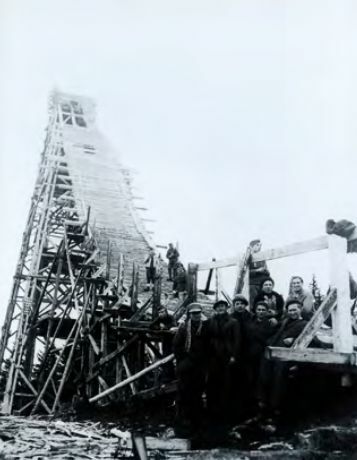 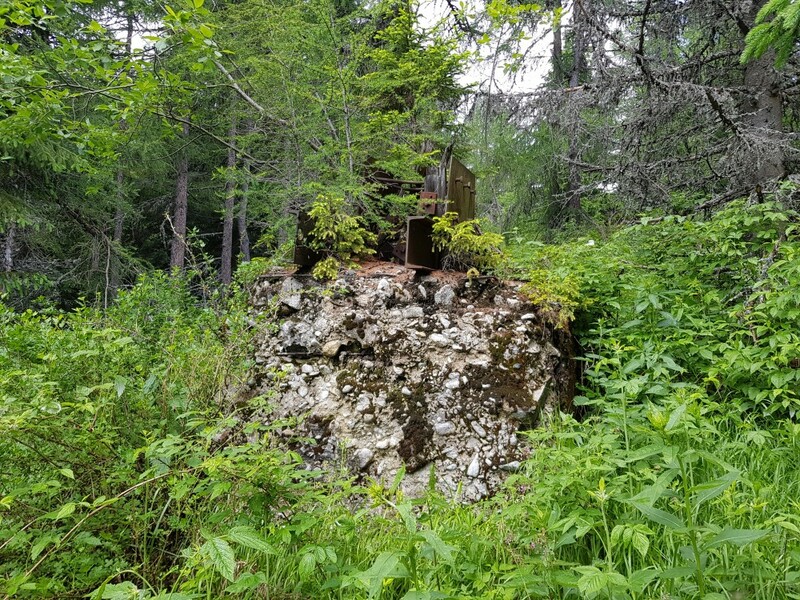 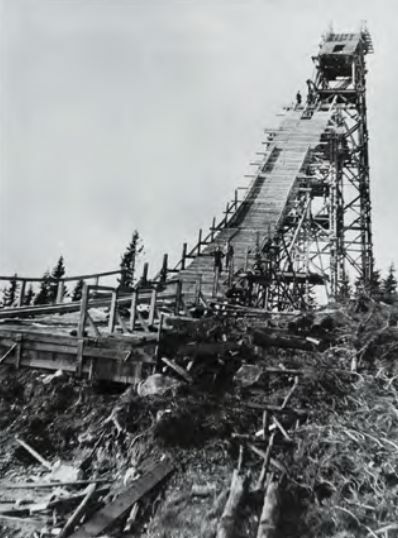 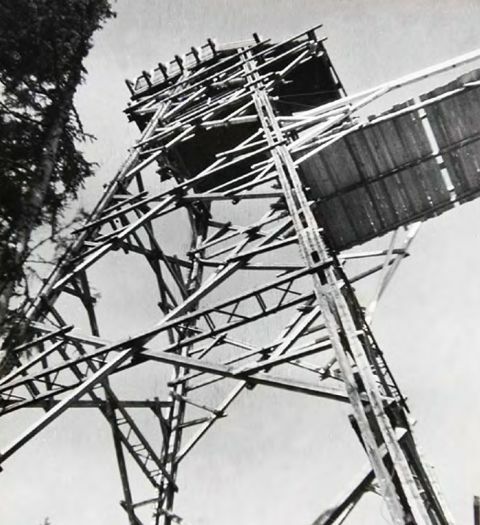 In winter 1939/1940 the inrun tower of the jump was seriously damaged and had to be fixed nearly annually in the following years. 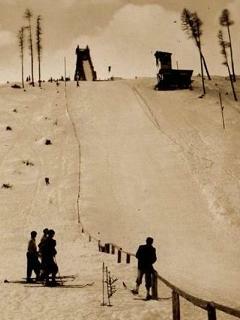 In 1962 it was finally torn down and already in 1966 the new-construction of the hills for WSC 1970 "MS 1970" started.